Platinum-selling, Dove Award-winning Mark Schultz is set to release his first-ever, full-length Christmas album Oct. 26. Aptly titled Christmas, the 10-track recording from Lucid Artist will be available on CD exclusively at LifeWay Christian Stores, is available to preorder now at iTunes and will be available at all other major digital and streaming retail outlets internationally. Making its much-anticipated debut on Christmas is Schultz’s epic anthem, “Different Kind of Christmas,” a moving tribute to his late father-in-law. He originally released the single in 2014 and it not only shot up to No. 1 on the iTunes Christian & Gospel Songs chart, but his Facebook video of the song also went viral, reaching over 69 million people and receiving more than 27 million views and nearly 3 million reactions, comments and shares to date. Following the release of Christmas, Mark Schultz has been tapped to perform live Dec. 1 on the 2018 Nashville Christmas Parade. Benefitting the Monroe Carell Jr. Children’s Hospital at Vanderbilt and featuring additional, world-renowned musical guests, the event will again be televised. Last year’s parade was seen on TV in over 100 markets. For all the latest Mark Schultz, Christmas news, tour dates and more, go to www.markschultzmusic.com, www.facebook.com/markschultz, www.twitter.com/mschultzmusic and www.instagram.com/mschultzmusic. With more than two million records sold, 10 No. 1 singles, a Dove Award, R.I.A.A. Platinum certification for Live: A Night of Stories & Songs (2005), national television appearances on “48 Hours,” “Extreme Makeover: Home Edition,” CNN, CBN and more, Schultz has also landed the top spot on Billboard’s Christian Adult Contemporary Songwriter list and authored the novella, Letters From War. While many artists talk about chasing their dreams, for Schultz it’s about following God’s call. That calling shines through on his first full-length studio album in six years, Follow, released Aug. 17 and featuring the title track and more new songs along with fan-favorites. Mark and his wife Kate live just outside Nashville, TN with their three children: Ryan, Gus and Maia Mae. PLUMB Releases New Radio Single – Crazy About You Song is a New Collaboration with Grammy Award Winning, Multi-Platinum Producer Dave Audé. Presented by World Vision, BEAUTIFULLY BROKEN Tour Features PLUMB with Special Guests Jason Gray and Eric Marshall of Young Oceans. (Nashville, TN) – Two-time GRAMMY ® award-winning group for KING & COUNTRY reached exciting new benchmarks last week with the release of their third studio album Burn the Ships. The time and hard work spent have paid off in spades, as the record debuted at No. 7 on the all-genre Billboard 200 Albums chart, and No. 1 on the Top Christian Albums chart. These milestones propelled the band to their biggest ever sales week and their first top 10 album. Watch the Smallbone brothers discuss how they tapped into their own feelings of forgiveness, desperation, and hope to create their most heartfelt & personal record in an exclusive video HERE. 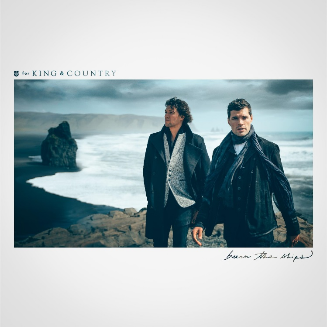 for KING & COUNTRY has had an astounding past few months as the duo has been featured by major publications like People and USA Today, and their lead single “joy.” became a multi-hit, multi-chart, international No. 1 hit with over 21 million streams. The Smallbones’ upward trajectory has followed them home to Nashville, TN, as the band celebrated their most successful release to date with a pair of SOLD-OUT shows at the historic Ryman Auditorium. They now have five sold-out shows under their belt, including a rousing performance in Dallas, TX at The Bomb Factory, and are gearing up for the last leg of their Burn the Ships | Album Release tour. You can buy tickets to the remaining shows by clicking HERE. Nashville, Tenn. (October 5, 2018) Two-time GRAMMY® award-winning duo for KING & COUNTRY released their highly anticipated third studio album, Burn the Ships, today via Curb/Word Entertainment. This record is especially meaningful for the group, as for KING & COUNTRY tapped into their own feelings of forgiveness, desperation, and hope to produce their most heartfelt and personal record to date. 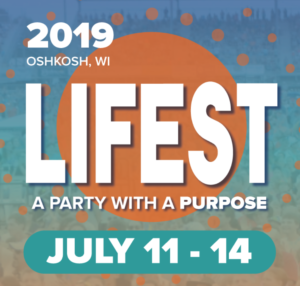 Songs from the album have brought Joel and Luke Smallbone to unprecedented heights, with lead single “joy.” becoming a multi-week, multi-chart, international No. 1 hit with over 20.6 million streams. Burn the Ships is already Top 5 in six countries, including the U.S., Canada, and Australia. You can stream and purchase the album in full HERE. Today, for KING & COUNTRY also premiered the stunning music video for the title track “Burn the Ships,” which visually displays the meaning of the record. They filmed the video on Lady Washington and you may recognize the ship as The Interceptor from the film Pirates of the Caribbean. “Years ago, we learned about an explorer who arrived in a foreign land with his ships and men,” Joel explains. “After they proved too afraid to explore the new territory, the explorer called his men to shore and ordered them to ‘burn the ships,’ so they could only move forward. So many of us are bound by shame and guilt from our pasts, but there’s hope! Let’s step into a new day together as we share with you our journey, Burn the Ships.” Watch the video and get detailed information HERE. Burn the Ships is an 11-song collection that adeptly dissects the human condition, utilizing the Smallbones’ own personal experiences of hardship and redemption. From the soaring, up-tempo jubilation of “joy.” to the profound and tender message of self-love in “God Only Knows,” it is apparent that for KING & COUNTRY have mastered creating diverse worlds within their music. Their incredible live performance is a mirror of this fact, as is evident by multiple sold-out shows on their current tour, including major markets like Seattle, Denver, and Nashville. You can find remaining tickets to their Burn the Ships | Album Release Tour HERE. October 5, 2018 (Atlanta, GA) — Pop/Hip Hop artist and award-winning producer GAWVI has been teasing fans with the release of new music all year, and today is no exception as the Reach Records’ artist released another new single, “With You”. In support of the new track, GAWVI has officially announced his highly anticipated sophomore album Panorama will release worldwide on October 19, 2018 and if fans pre-order the album they will receive and “With You” as the instant gratis track. See full track listing with a link to pre-order below. “With You” is one of 17 tracks on Panorama and was produced and written by GAWVI. Download Hires Artwork here It is through songs like “With You” where GAWVI has learned more about himself than he ever before. He’s realized how much pleasing others has influenced his work. This new knowledge of himself has given him a new creative foundation from which this music comes. He’s no longer bound to the expectations of others. This music is his personal therapy; his freedom. Mirroring the personal transitions in his life, GAWVI is more transparent than ever before. Featuring a variety of collaborators including Aklesso, RJ, and Enzo—fellow musicians he met after sharing the bill on a near sold-out show in Fort Lauderdale— the organic relationships have made for a fun, and collaborative experience that shows in the music. GAWVI also sites his live crowd as a phantom collaborator for this album. He selected his sounds based on what they have responded to at shows—“no skips allowed” has been the mantra of creating this body of work. GAWVI will be taking Panorama on the road this year, where fans can get the opportunity to see the songs performed live and hear more about GAWVI’s personal journey. To stay up-to-date on GAWVI’s tour and Panorama please visit www.gawvi.com, and follow @GAWVI on Facebook, Twitter, Instagram, and SoundCloud.